Pokemon Go revenue has surpassed $2.5 billion in worldwide player spending, according to Sensor Tower data. Launched in July 2016, the popular augmented reality title has shown no signs of slowing down with spending for Q1 of this year up 40 per cent over 2018. This equals to $205 million when compared to 2018’s $147 million during the same period. Since celebrating its second anniversary in July 2018, Pokemon Go has gone on to bring in another $700 million in revenue, equalling to an average of $78 million per month. Overall average spending for the game has been estimated at $4 million a day since its release. The US accounted for the largest amount of spending at 35 per cent, which totalled to $875 million. Japan placed second at 29 per cent with $725 million, while Germany took third at $150 million, or six per cent. 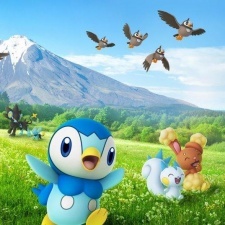 Pokemon Go brought in $67 million for March 2019, ranking the game at seventh position for worldwide mobile game revenue. Not just keen to rake in the cash, Pokemon Go creator Niantic recently launched its second annual Earth Day initiative to help clean up communities around the world. Pokemon Go is one of 20 games on our list of mobile games that have made over $1 billion.